In a league with players who can’t remember how many children they have, and of those who compare themselves to slaves, it’s nice to know that there are still those who fit the part of role model. Of course, I’m speaking of New Orleans Saints quarterback, Drew Brees. A hero to both his team as well as the entire city of New Orleans, the 2009 Superbowl MVP has always understood what it takes to be a leader. Considering recent events regarding the NFL’s negotiation with the NFL Players Association (NFLPA) which eventually lead to the current NFL lockout, Brees took a central role in the negotiations. Accepting his position as not only a pivotal figure for his team, but as an advocate for the league, Brees acted as one of the players’ liaisons. In such efforts to bring balance back to the most popular sport in America, the Saints player was joined by others such as Colts quarterback, Peyton Manning, in attempting to bring reason to the owners of the league. Unfortunately, the owners of the league have been refusing to accept their responsibility in sharing revenue with the players who make the game what it is. This lead to the NFL Lockout, as well as the lawsuit by the NFLPA. Utilizing their public stardom, the union placed the names of their top players including Brees as well as Manning, and New England QB Tom Brady. Though the suit was successful in ending the lockout, the league has implemented an appeal to extend the strike. Now, with the power out of their hands, the players have begun to perform voluntary workouts on their own time, despite being locked out of their team facilities or being unable to communicate with coaches. Such circumstances has called for team leaders to step up, to maintain the unity within the chaos that the league has become over the past few months. Of course, such a role is only natural for Drew Brees, however the Saints QB went above and beyond his call, as he has begun paying for team workouts out of his own pocket. Holding three workouts in the past week at Tulane University, the All-Pro Quarterback paid as much as five figures in order for the 37 attending players to practice together for the first time since last season. “It’s worth it,” claimed Brees in a New Orleans Times article, “we have everything here that we would have at our training facility with the Saints.” In footing the bill, the group of players receive help from the Tulane staff with practices, insurance, as well as lodging for younger players. In addition to all of this, Brees also flew his own personal trainer to oversee the conditioning program. Given the recent Rashard Mendenhall tweets, it’s becoming increasingly difficult for the players to continue to earn sympathy for the public, or to even hold together their own union. However, with men such as Drew Brees holding the lines strong, there can be no doubt that the league will eventually return stronger than ever. Perhaps what is most important in setting up these workouts is taking the minds of his teammates off of the politics surrounding the lockout, and onto production on the field. Such a feeling is felt by Brees’ teammate, right-tackle Jon Stinchcomb, who told the Times-Picayune, “When you have a leader like that on your team, it makes it easy for guys to rally around and understand what’s available to us.” Of course, it’s easy to presume that Brees should be paying for the workouts as he had the highest salary on the Saints in the past season with an income of $9,800,000; not taking into account the amount he made from endorsements such as Nyquil as well as being on the cover of Madden 11. In regard to public image however, Brees may have one of the best in sports, which unlike many athletes is not the product of a successful PR campaign. A co-winner of the Water Payton Man of the Year Award in 2006, Brees ranked third in the NFL in terms of Positive Q Score, a ranking of how much of the general public views the athlete as one of their favorites, placing only behind Manning and Steelers Safety Troy Polamalu. The good favor in the public eye doesn’t stop there though, as Brees was named Sports Illustrated’s Sportsman of the Year in 2010. In another ranking of public perception, the Davie Brown Index, the Saints QB ranked 1st amongst NFL quarterbacks in terms of Appeal. It’s no wonder why the 3x All-Pro selection is thought so well of in comparison with his peers though. Apart from their on the field performance, Manning is most well known for his commercials, Brady is noted for his spouse as well as his hair, while Brees is recognized for his charity efforts. Through the Brees-Dream Foundation, the quarterback has raised over $6 million dollars in fulfilling their mission statement: ‘Advancing research in the fight against cancer and providing care, education and opportunities for children in need.’ Apart from charitable contributions, Brees holds a significant amount of influence in the government as a member of the President’s Council of Fitness, Sports and Nutrition. In fact, the Saints’ QB is held with such high respect that President Obama sent Brees to Guantanamo Bay to see how prisoners were being treated! Of course, there is no place where Drew Brees is as well thought of than New Orleans. Not only did the quarterback bring a championship to the city in 2010 by winning the Superbowl in February, but the 5x Pro-Bowler has been an active part of the community since he first arrived in 2006. 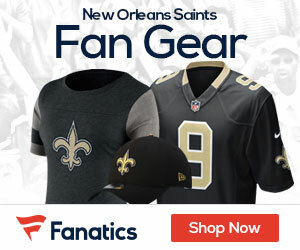 Helping the city recover from the devastating effects of Hurricane Katrina, Brees was part of the effort in the team’s first return to the super-dome post-crisis in 2006, which had the Saints defeat the Falcon 23-3. Most recently, the quarterback was an advocate for helping to repair the gulf after the summer-long oil spill in by B.P.. Both on the field, as well as off, Drew Brees has earned the respect of players, coaches, fans, and just about everyone else. The best part about the quarterback’s public image is that it is not simply to sell jerseys, or to make commercials, rather its simply who the man is. In a world as corporate as ours is, such a trait is nearly unheard of. No wonder his nickname is Breesus’.